PRETTY IN PINK. GET THE LOOK. Pastel petal eyes are a modern twist to monochromatic makeup. It's subtle and feminine yet chic and subdued enough to wear for any occasion at any age. Playing with textures keeps this femme style from looking flat. And our blushes are safe enough to wear around the eyes! 1) Dab on FlowerColor CoverUp Stick under eyes and where needed to even out skin. 2) Apply FlowerColor Blush in Burgundy Rose or Coral Rose (depending your skin tone) to your upper eye lid from lash line to crease and lower lash line. Define your eye socket by keeping the color close to the eye socket. 3) Swipe the FlowerColor Blush over your cheek bones starting at the outer corner of the apple. Sweep toward hair line. Applying it directly to the apple could risk it looking dollish. Lips: Generously apply Petal Lip Smoother. The moisturizing texture will keep the look polished. 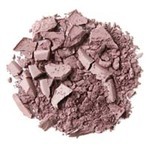 Pro Tip: If you need more depth in the eyes define them with Smokey Mauve FlowerColor Eyeshadow first.